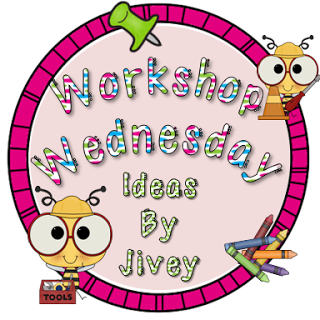 It's Wednesday - so it is time to link up with Jivey for her wonderful Workshop Wednesday linky party. This week's theme - Reading Workshop organization. Click on the button below to head over to her blog and link up or read more posts (and if you are like me, pin all the ideas you love!). In my school district we don't do Daily 5 (no, no don't stop reading!) we do guided reading groups. But I think my organization could be used for Daily 5 too! I have tried many different systems to organize my reading groups - bulletin board, different bulletin board, pocket chart, different pocket chart....you get the idea. What I found was that all of my systems used a lot of space - valuable classroom reality. So this summer I made magnets. 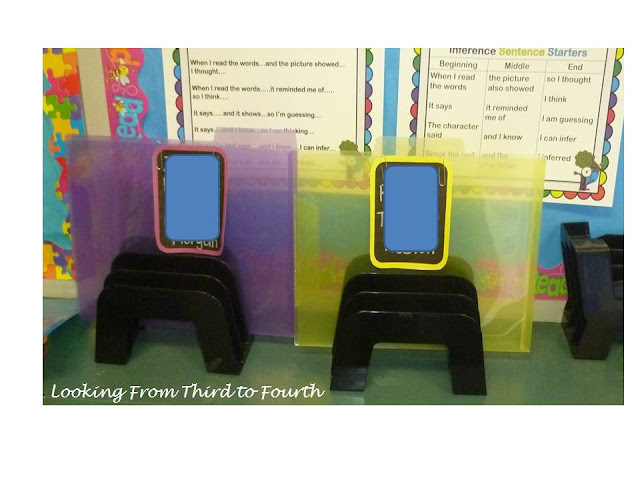 I made the headers: Guided Reading Groups and Guided Reading Activity. Then I made up the group magnets - I just do it by color. Finally I made a number of magnets for the various activities I use throughout the year. I just made the magnets using PPT and printed onto magnetic sheets. I put the magnets on my chart stand - which works for me because we meet at the carpet for a mini-lesson/recap before moving into groups. I throw the magnets up and when/if I need the chart later in the day I take them down and store them in a basket at the bottom of the chart stand. 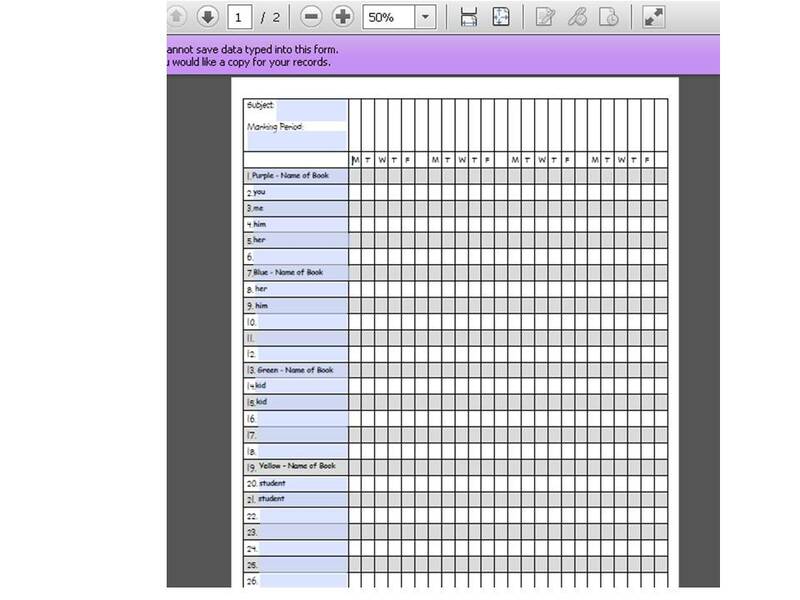 If you did Daily 5 and needed student names for the activity they selected you could put them on a magnetic sheet too! Behind the chart on the shelf I have dollar store - paper holder thingies? with a colour folder that matches the color group. Clipped to it is a list of the students in that color group. In the paper holder thingie goes any paper/books/directions that group may need. To keep track of my guided reading groups I use a form from Busy Teacher's Cafe. 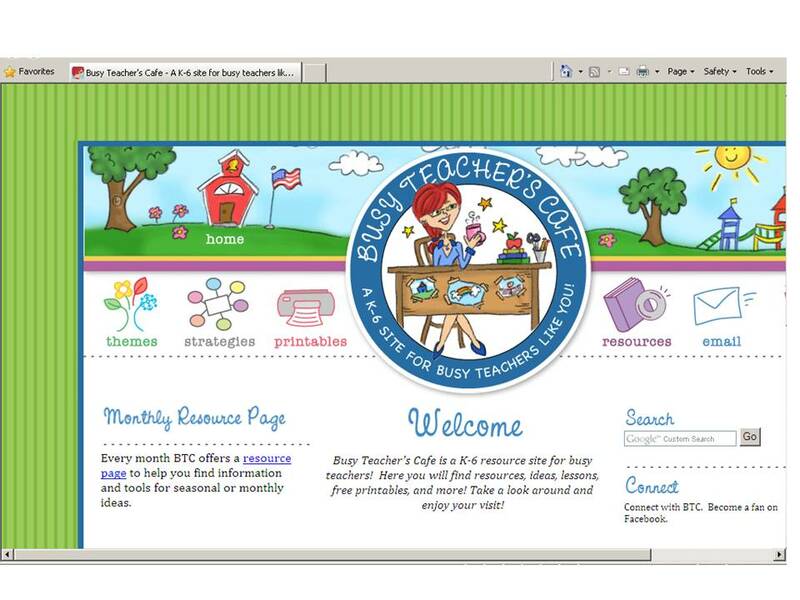 If you haven't used Busy Teacher's Cafe you should check it out - you are a busy teacher after all. I got to printables, select Management & Forms and then select Grade Book page. You can't save data - but sometimes I move students groups around so that is okay with me. I know I could make a form like this that may even work better for me - but I really like using this one - so I stick with it. For subject I put the term and Reading. For Marking Period I put the skill I am working on (connections, main idea etc.). I put the color of the group and the title of the book in a student name slot then all the group members after it, skip a space or two and do the next group. I do guided reading Monday - Thursday so each week on the page counts as one day. I record the activity and any notes next to the student name - yes I just write across the lines with a pretty felt marker. On Friday we do a group activity - a reading response type activity that I model during shared reading, they talk about with their group then complete independently. I'm impressed with all of this organization! Isn't record keeping so much more satisfying when you do it with a pretty felt marker :) I have never heard of Busy Teacher's Cafe and will have to check it out! Thanks for the recommendation! I love the magnets...easy to use and move around for the kids! Very organized! 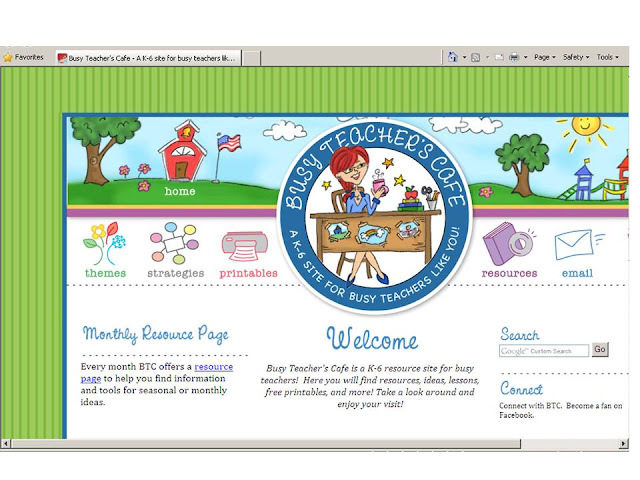 Love Busy Teacher's Café -- tons of great ideas there. Thanks for sharing! Thanks for sharing that website. It sounds like it has a lot of good resources. I especially like the grade book page you showed. Such a good idea with the magnets! I recently made magnets to create table points for behavior management in my class. So easy to use! Your comment about not doing Daily 5, but doing guided reading groups was interesting to me. At my school, we do Daily 5, guided reading groups, and we're expected to add CAFE next year. Shouldn't it either be Daily 5/CAFE, OR guided reading groups? Your thoughts? Thanks! I do kind of a mix of all 3! Our 90 minute reading block is structured similar to the Daily 5, and during my kids' reading rounds, I teach mostly guided reading groups. 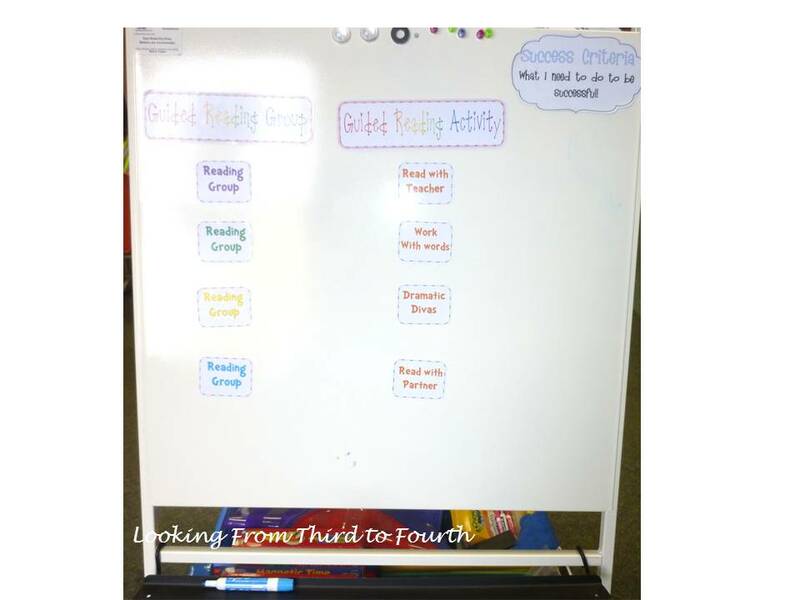 (Occasionally I'll do a strategy group if my kids need it, or once or twice in the semester I let them choose a strategy focus for themselves to build accountability.) I do use a CAFE-style board, though, to post reading lessons as I introduce them. (I actually use a CRAFT board I got from Ladybug's Teacher Files.) I think you'll have to ask the administration what parts of CAFE they want you to adopt! Everything but the strategy small groups should fit together with guided reading, I think! We do guided reading groups in my school also. I take a break every once in a while do some independent reading conferencing, so I sort of feel like I give my kids a taste of Daily 5! Thanks for sharing the website. That is new to me, I look forward to checking it out this weekend.